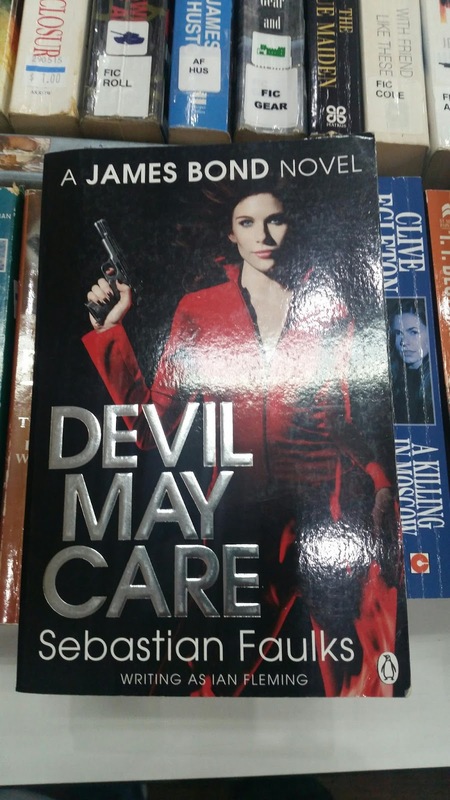 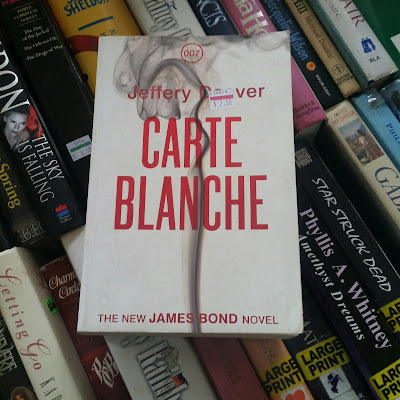 Last weekend I drove around Melbourne to visit a few book stores and managed to purchase another James Bond book. 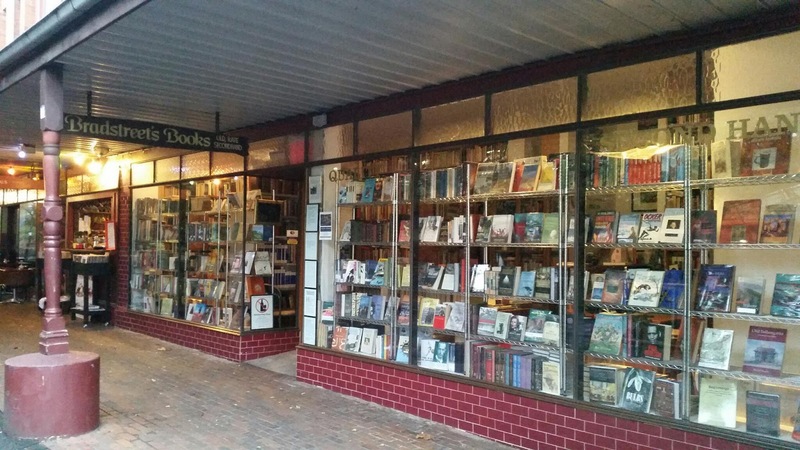 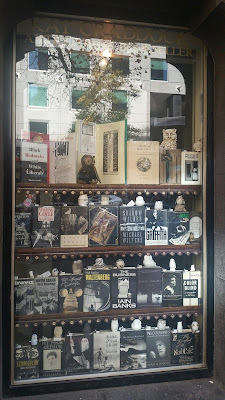 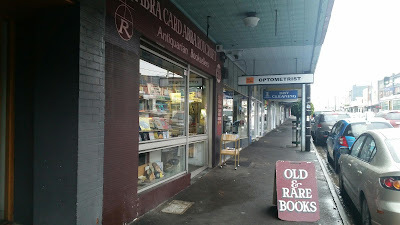 The first store I visited was "Abra Card Abra - Roycroft Antiquarian Booksellers" in Kew. 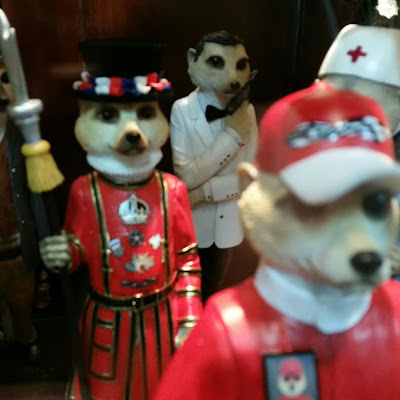 (Sorry, I couldn't decide which photo to use below so I used both). 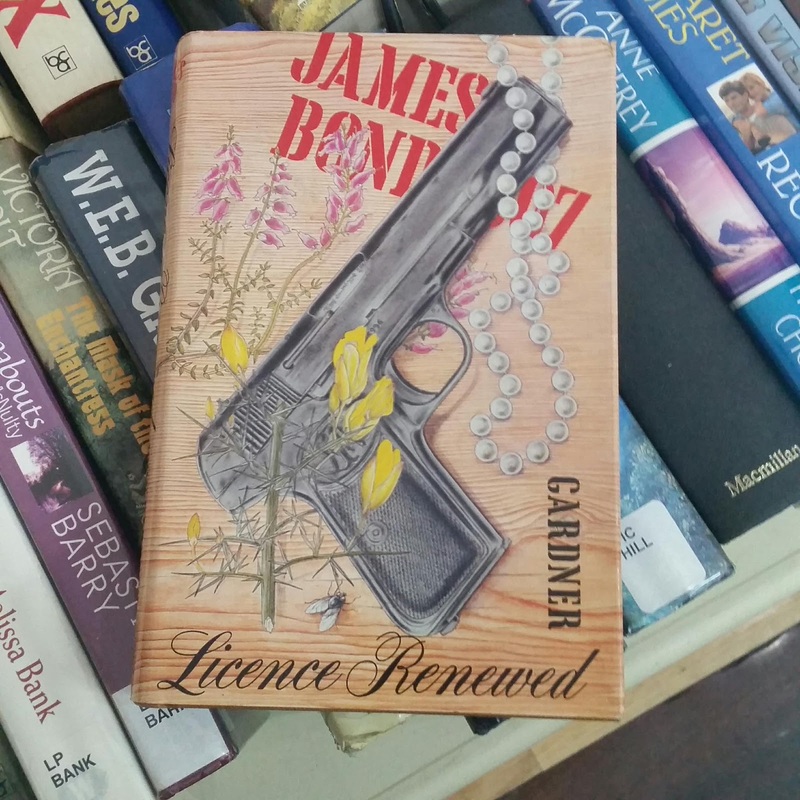 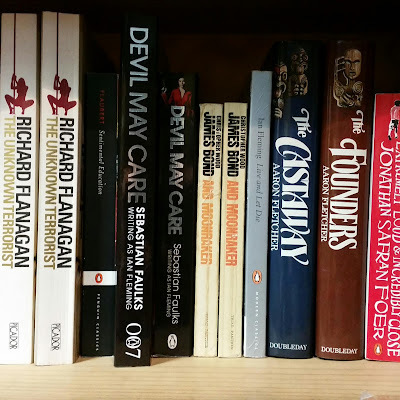 A while ago the owner decided to move the Bond paperbacks from the paperback section downstairs to the hardback section upstairs. I thought it was an interesting and intelligent move. 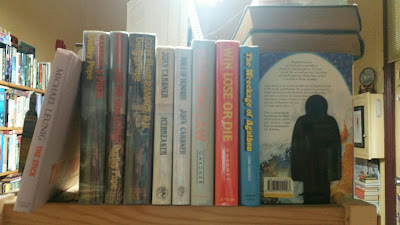 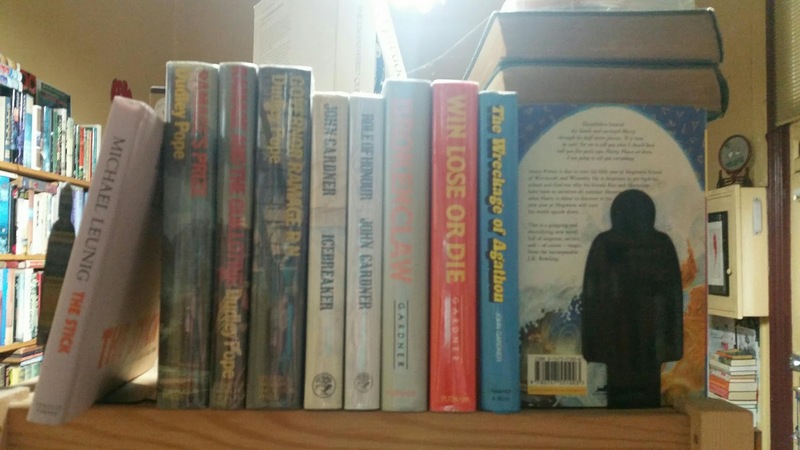 In fact these are the only paperbacks on the upstairs fiction book shelf. 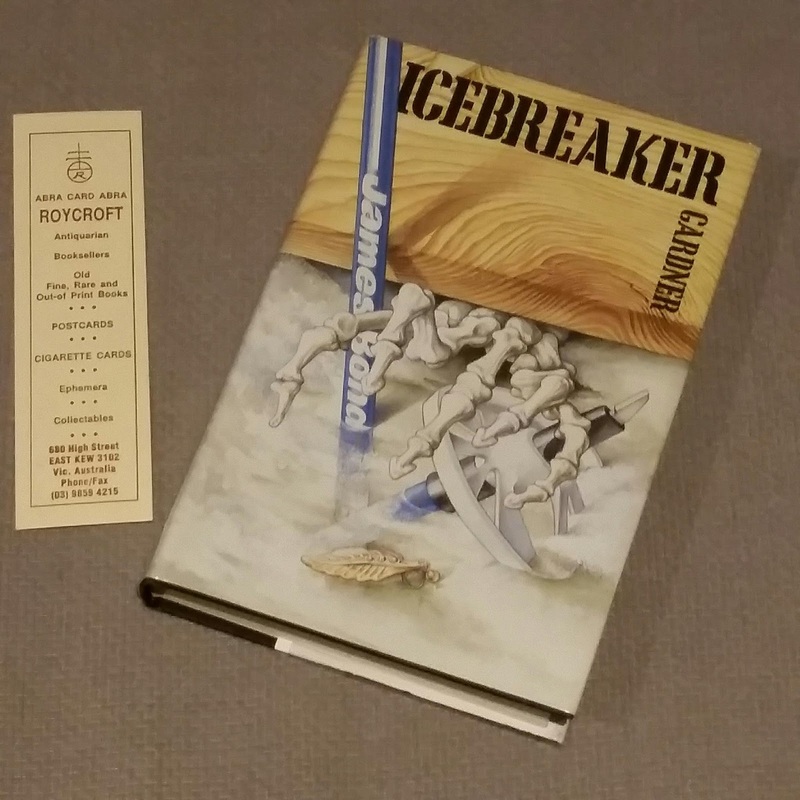 Unfortunately I had all these books, but this nice first edition of John Gardner's "Icebreaker" was calling my name so I couldn't refuse. 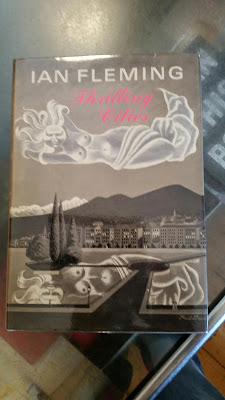 It's the second copy of this particular hardback I've bought in as many weeks. 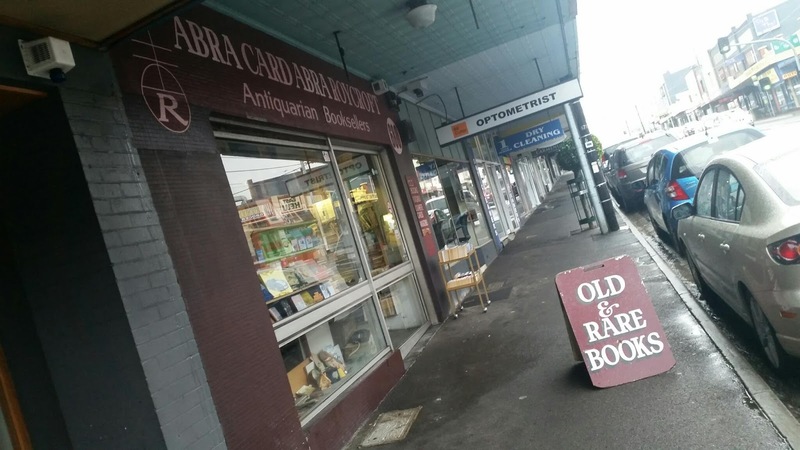 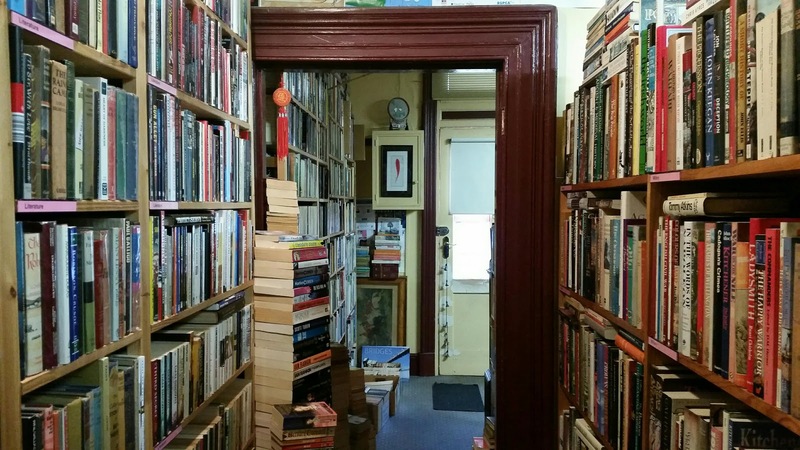 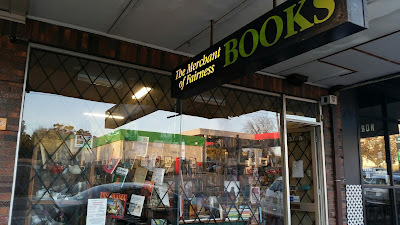 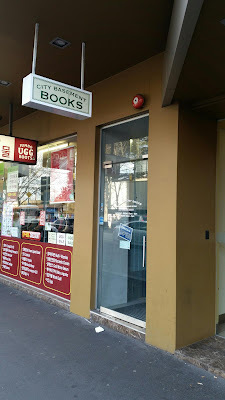 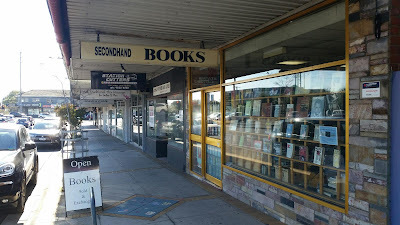 The second store I visited was "Howard Bolton Bookseller" in Northcote. I always enjoy catching up with Howard and discussing books and book stores. 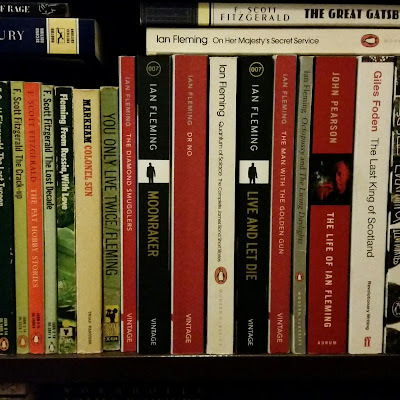 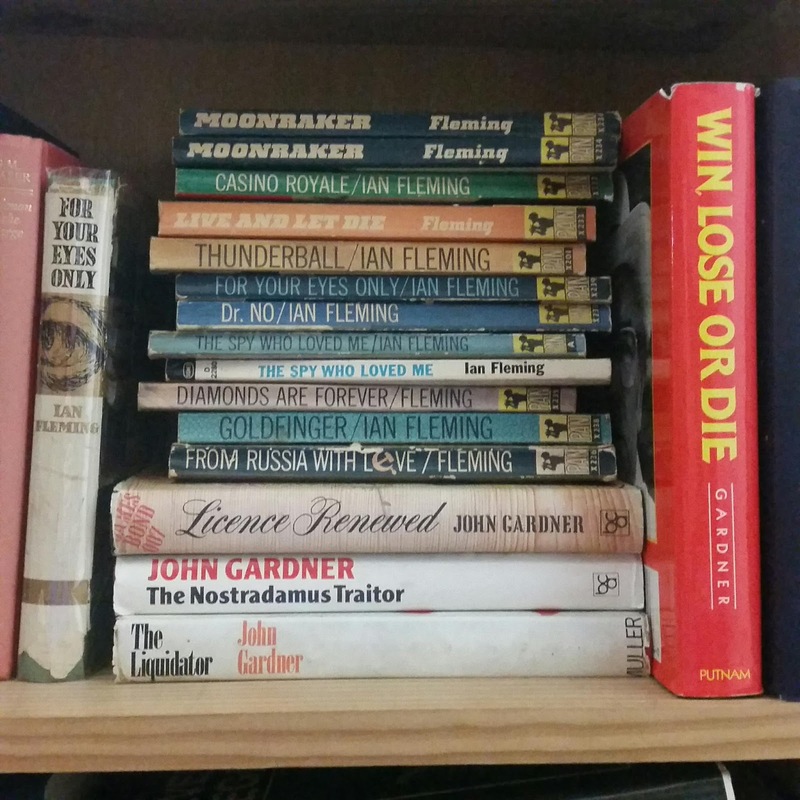 As usual he showed me some Bond books that weren't on his shelves, and I took these photos of a copy of Ian Fleming's "Thrilling Cities" and of the books on his shelves. Next up on the book hunt was "City Basement Books". 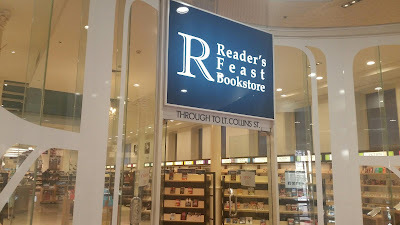 I always walk down the stairs into this store with my fingers crossed. I remember making a number of great purchases in this store when it was located just around the corner on Elizabeth Street. 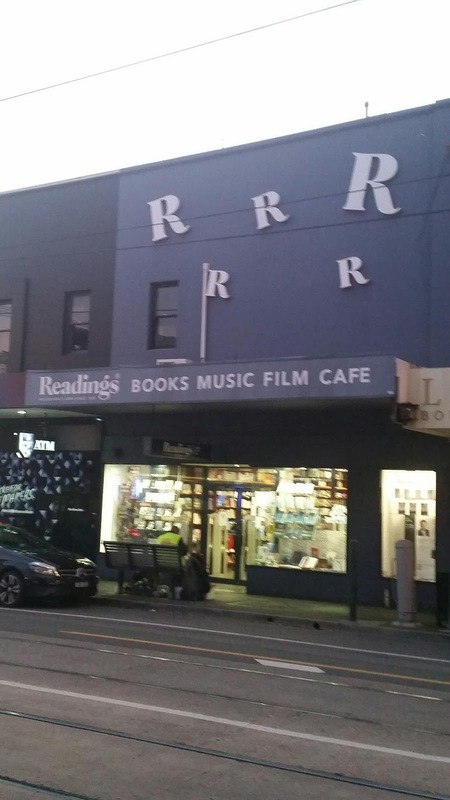 No luck today though. 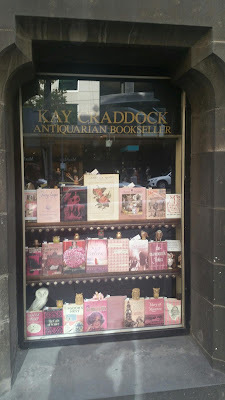 And now some snaps of other stores I visited during my travels that day. 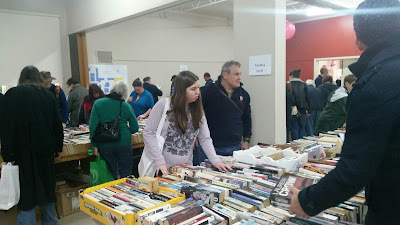 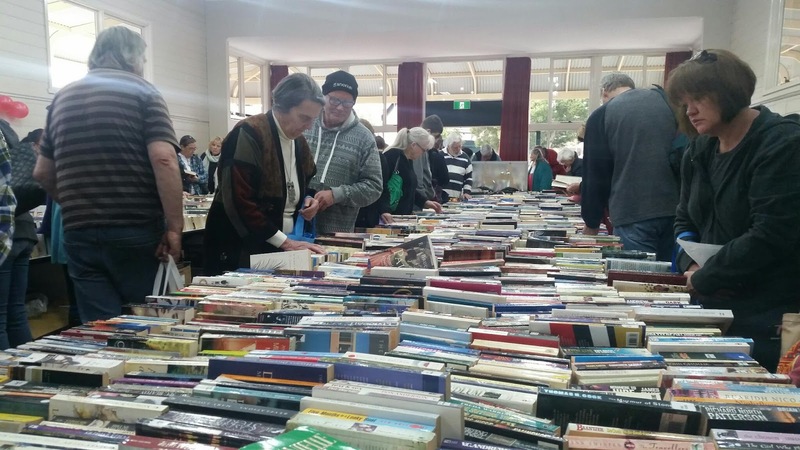 Last week my wife and I, along with my parents, drove a little over an hour to Yarragon in Gippsland, Victoria for the Yarragon Book Fair. The annual fair is held in the town hall to raise money for the local fire brigade. 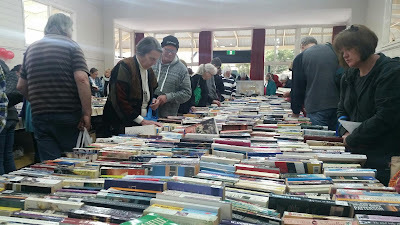 This is our fifth visit to the fair and probably my most successful. 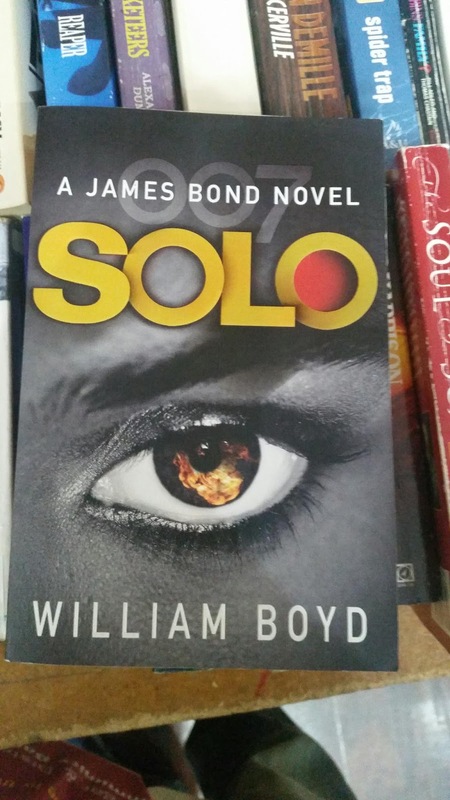 I suppose having four pairs of eyes instead of two helped. 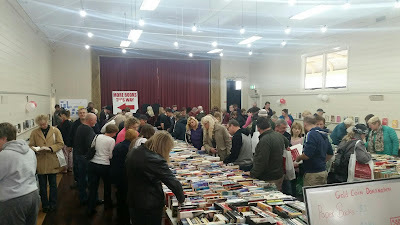 As we entered the hall I noticed how busy it was compared to previous years. 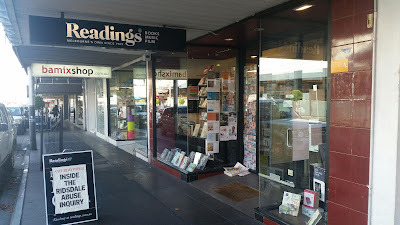 Word is hetting around. 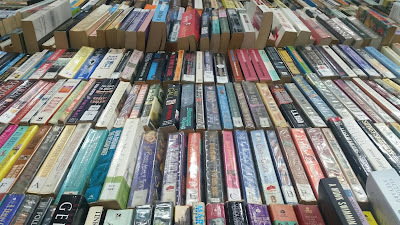 And there seemed to be fewer of the books I'd seen in previous years, however I did notice the box of Dan Brown novels that I saw last year ! 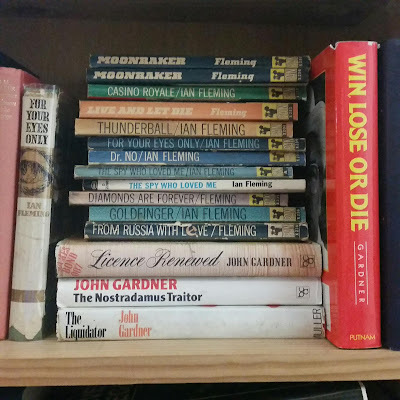 I'd like to say I noticed the Bond novels below during our search but in actual fact my wife pointed most of them out to me. I ended up purchasing this copy of John Gardner's "Licence Renewed". It's a Book Club Edition and I already have a copy, but for $1 how could I go past it ! 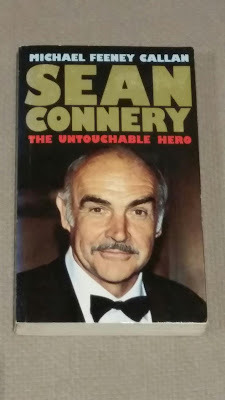 I also bought this Sean Connery autobiography which my Mum managed to find. 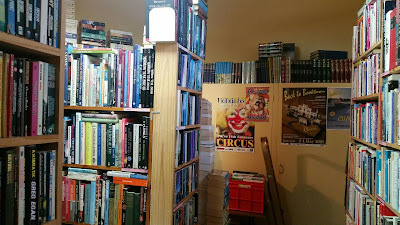 As you can see from the photos above we found no Fleming Bond novels. 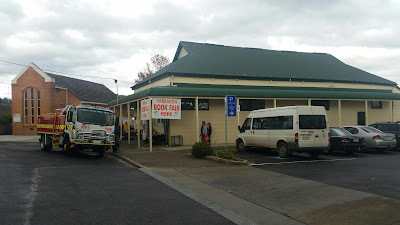 After leaving the hall we then had lunch in a cafe near the main road. 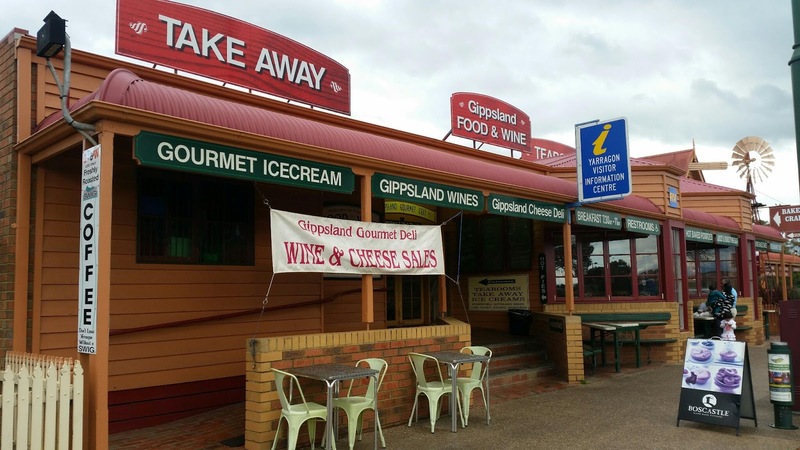 I highly recommend the sausage roll and chips. 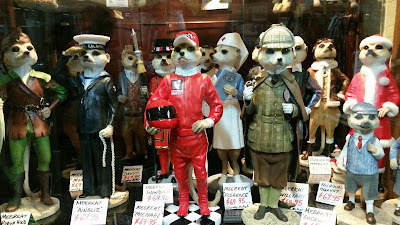 ... and then unexpectedly I noticed a James Bond meerkat standing at the back of the cabinet. 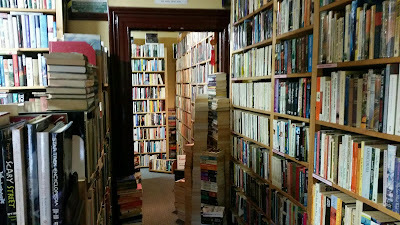 It looked great and I considered it for a moment but had to let it go. 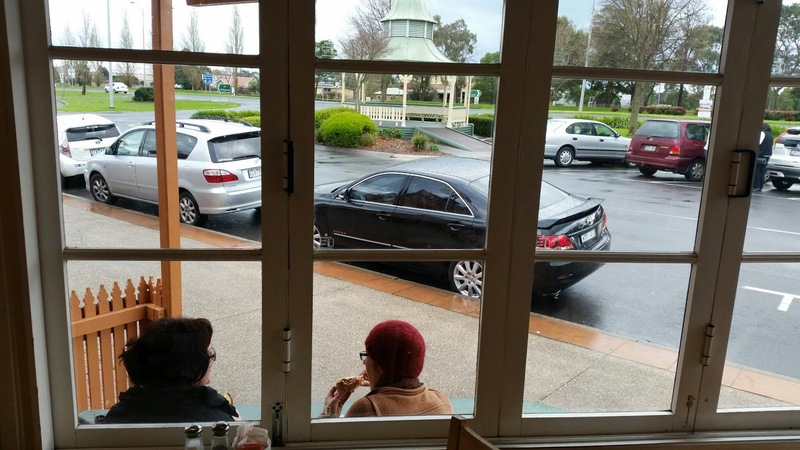 We then returned to the car for our return drive to Melbourne. 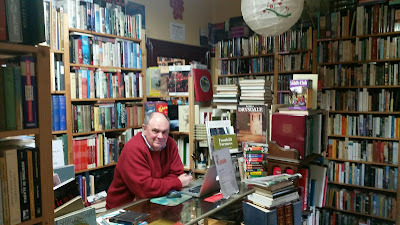 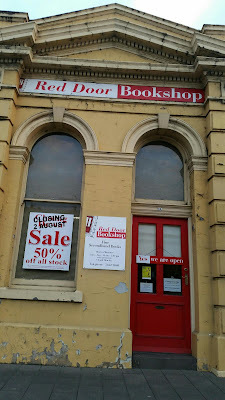 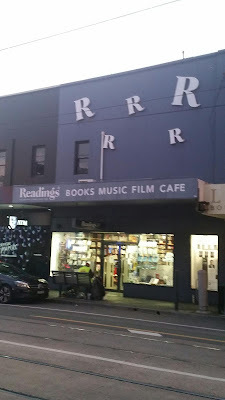 But our trip was interrupted as usual by a quick stop in Warragul at the Red Door Bookstore. 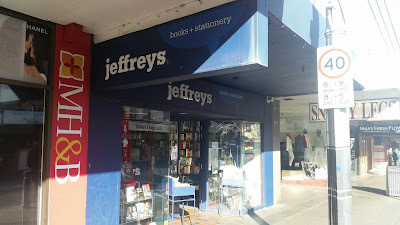 Unfortunately this store is closing down in August but I got the feeling after chatting to the owner, Wayne, that while he's sad about it all he's happy it's occurring on his terms. 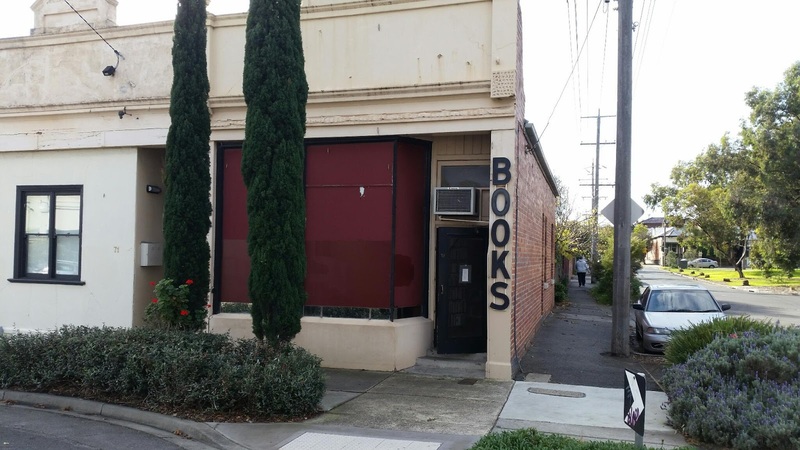 The building he's leasing is being sold. 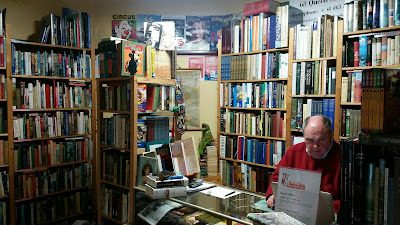 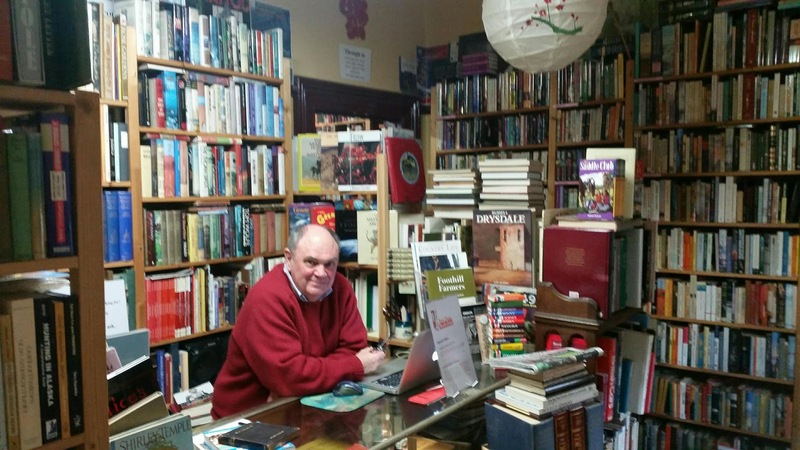 It's still a shame though as the store is so well organised and Wayne knows a thing or two about books. 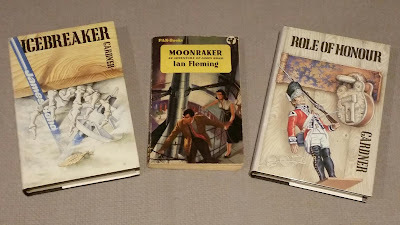 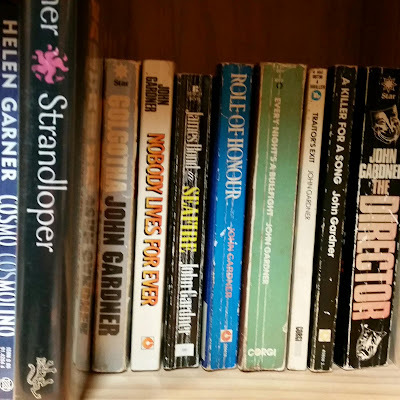 I ended up purchasing these two John Gardner first editions and and also an early paperback edition of Ian Fleming's "Moonraker". 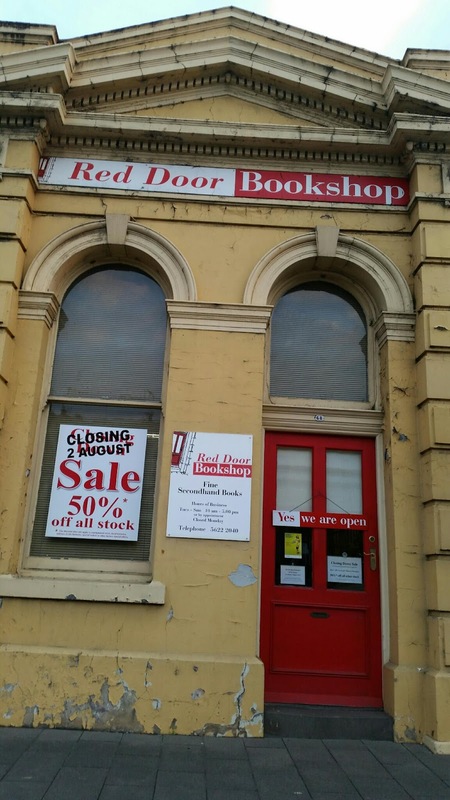 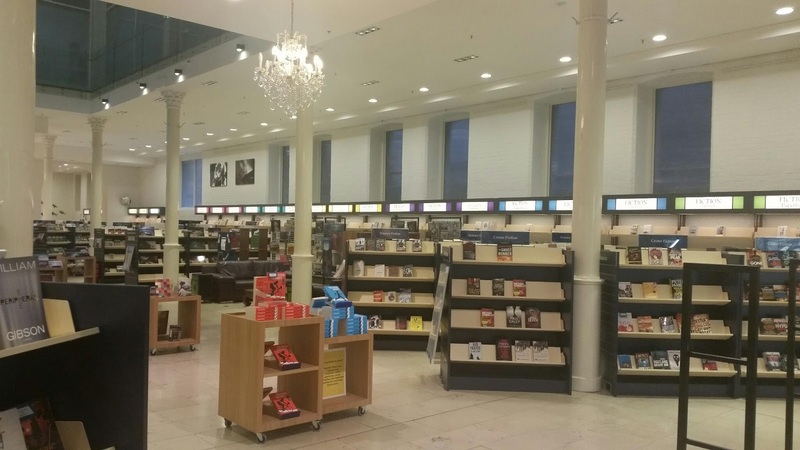 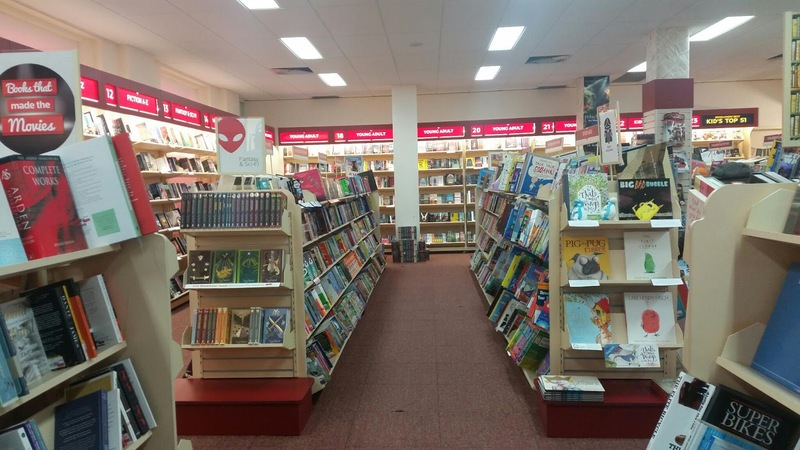 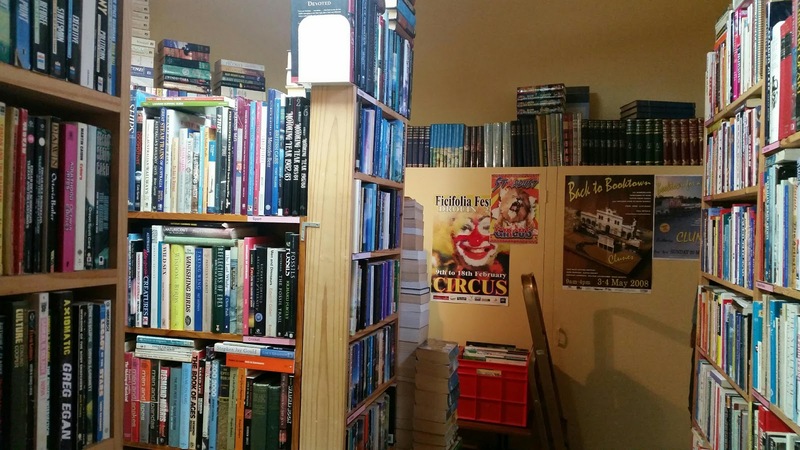 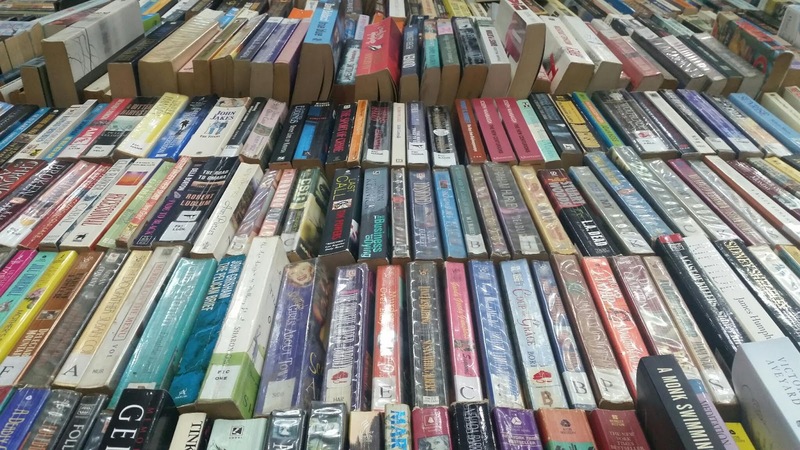 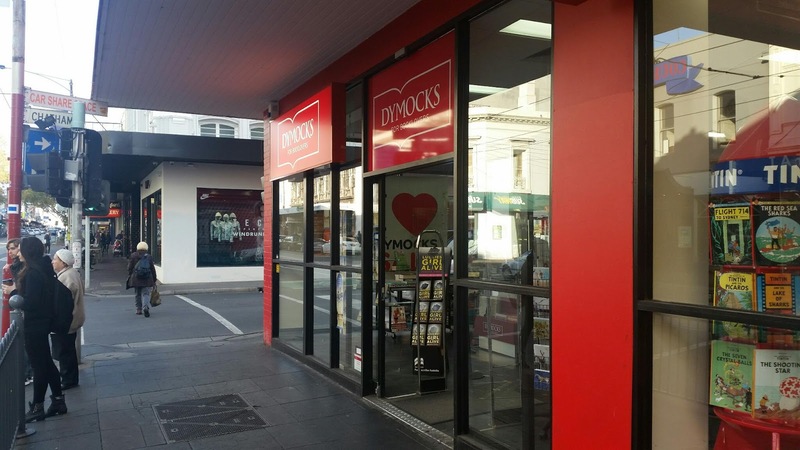 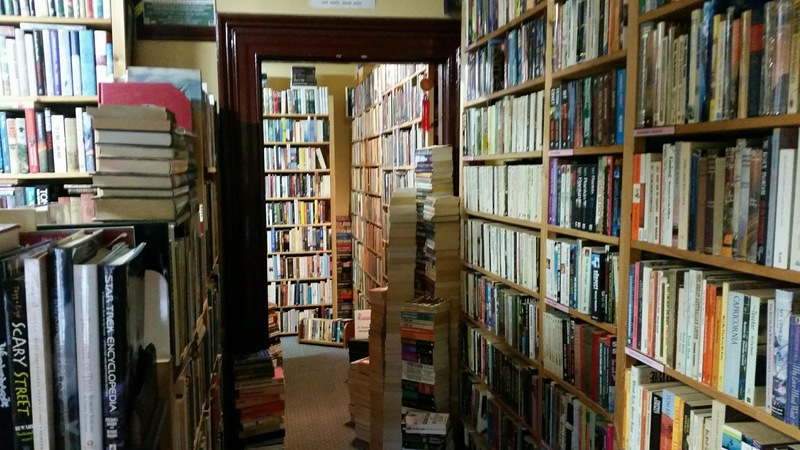 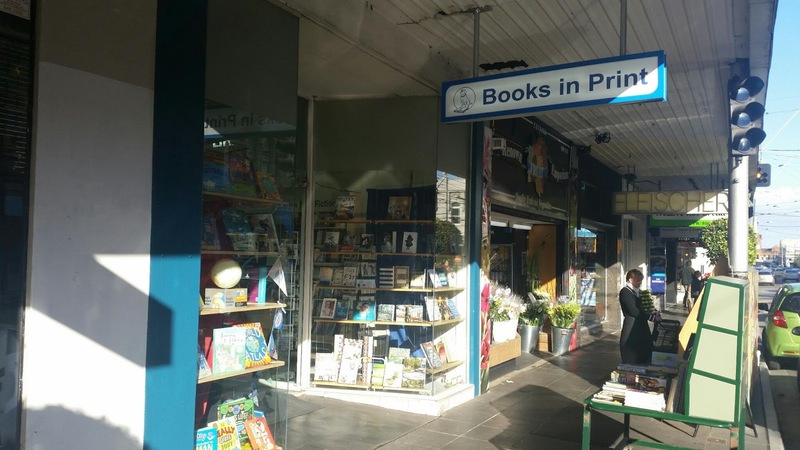 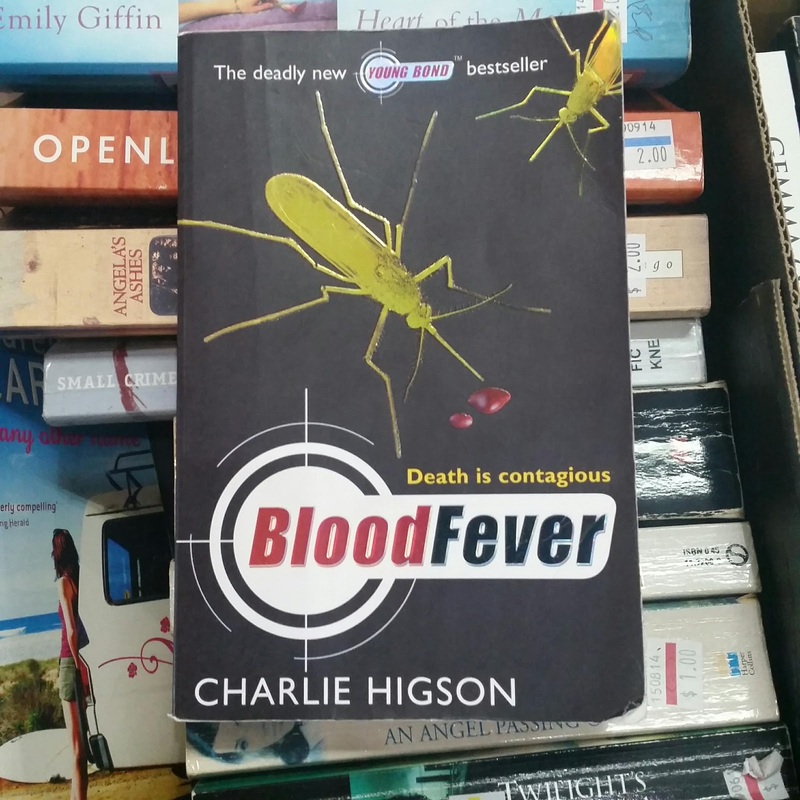 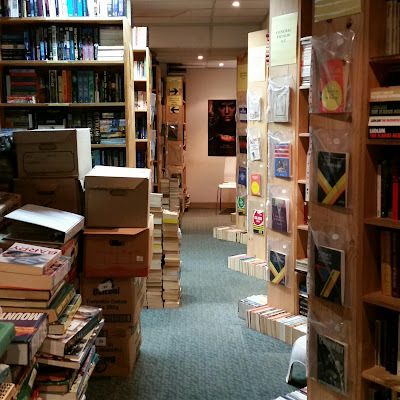 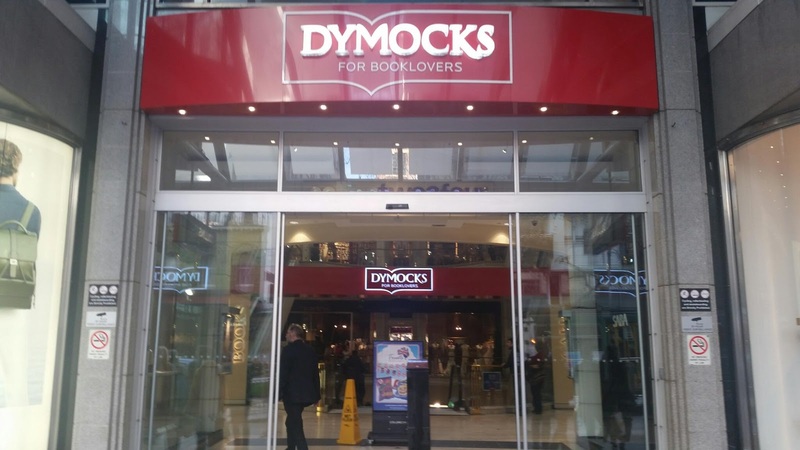 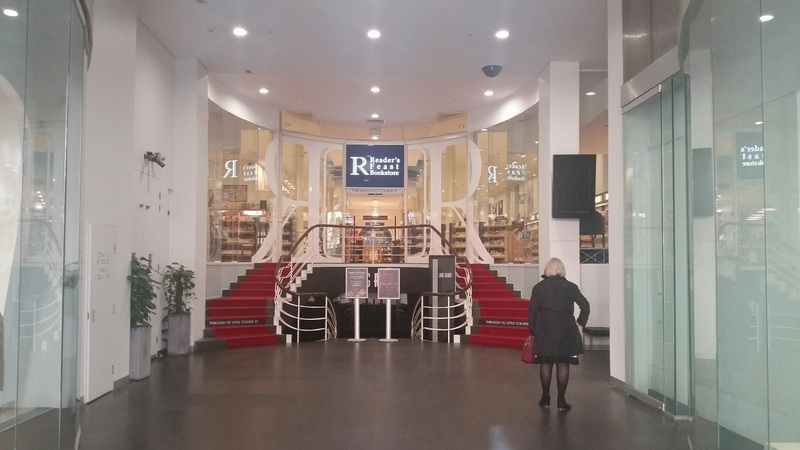 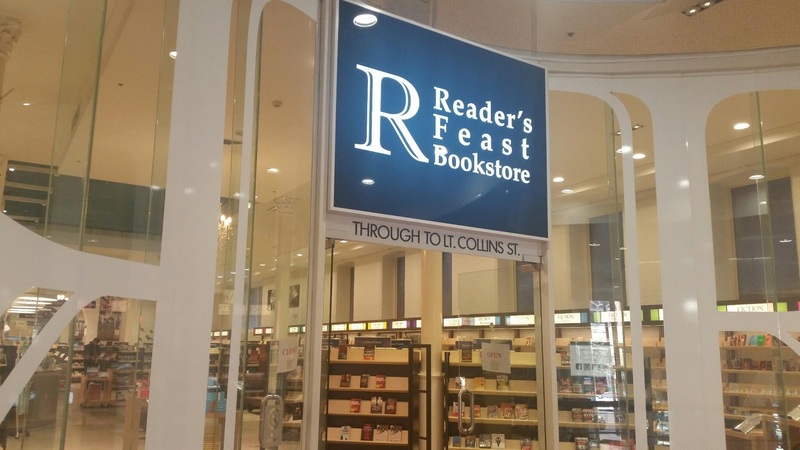 Make sure you visit this store before it closes in early August as there's plenty of great novels on the shelves, they're all in good condition, and there's currently a 50% discount on all stock. My Dad and I spent about half an hour chatting to Wayne in the book store while the girls sat in the car. 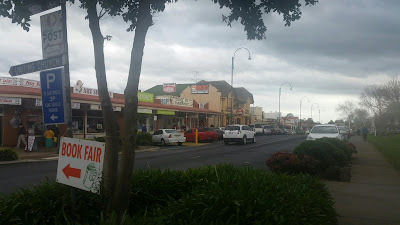 We then made our way home talking about how much we'd enjoyed the entire day and how we'd definitely be returning next year.